Ben Stein is already in Miami working as an Innovations Award judge and I look forward to his reporting as I man the news desk here in Maine. Today, though, I’ll discuss some of the monitoring tools helping to keep Gizmo safe in winter conditions like the easterly gale that blew about ten inches of snow onto Camden last night. The newest monitoring equipment being tested on Gizmo is a Victron Venus connected to their latest BMV 712 Smart and the MultiPlus inverter/charger I installed in 2012. 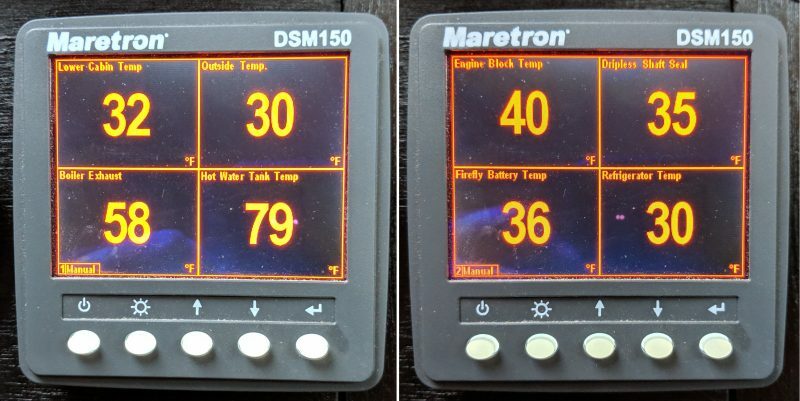 Victron loaned me the two new components largely because two major updates are in the works — the HTML5 to MFD integration I saw demoed at METS, and much improved dongle-free NMEA 2000 support. 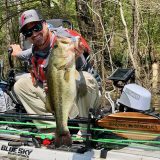 I’m excited about testing both, and you’ll hear about it here, but I’m already sold on the Venus and 712 Smart as they are working for me now. 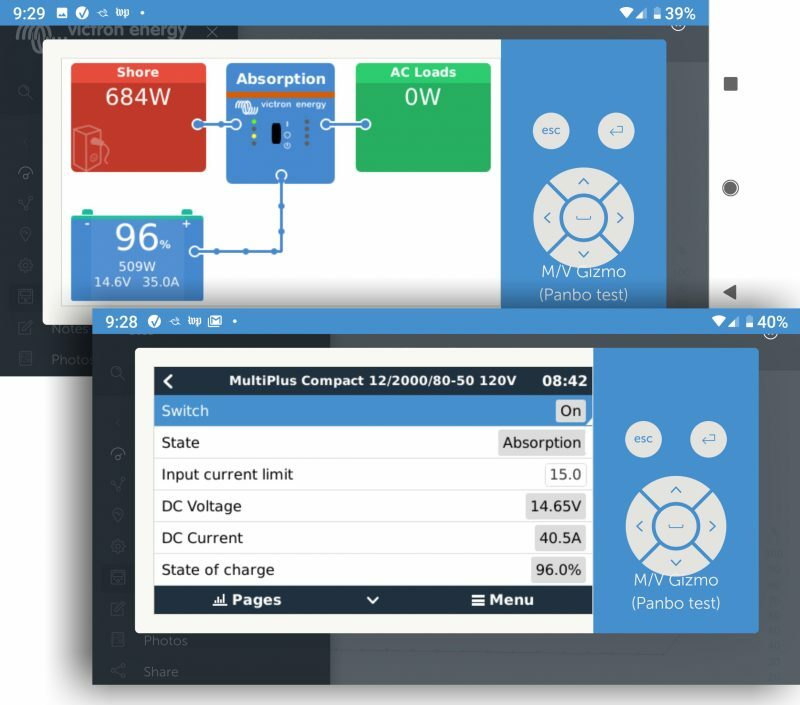 For instance, those Android phone screens above show how I used the Remote Console available at my private Victron Remote Monitoring (VRM) site to check on Gizmo’s power system this morning, and even to switch On the Multi. VRM is free to owners of Venus GX family hardware, setting up the connection over my boat WiFi system was easy, and the connection has been very solid even while other Gizmo data streams sharing the same shore connection have not. 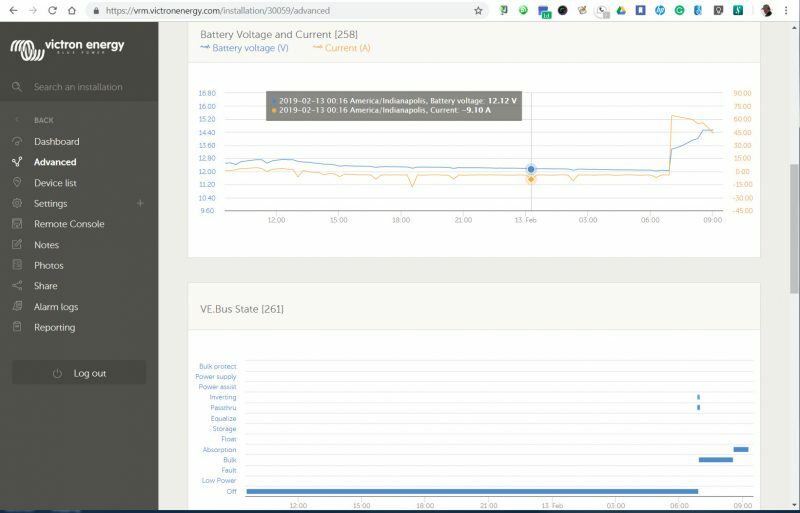 Here is part of my VRM Advanced page on my home office PC, and you can see when I turned on the charger at about 7 am both in terms of voltage/current and the Multi’s operating state shown on the VE Bus. But why am I often running Gizmo on her battery bank instead of shore power? One reason is that I like to see the current spikes indicating that the boat’s diesel boiler is kicking on at appropriate times, and if the battery bank was in Float mode they would be masked along with the somewhat meager winter harvest of the solar panels. My current use may be a bit eccentric but, in fact, I’m confident that the deep power system awareness available via Venus is going to be a benefit in many ways both off and on the boat. For one thing, I’ll take better care of the Firefly battery bank, and note that I can now configure the Multi (and the new BMV) much more easily than was previously possible. 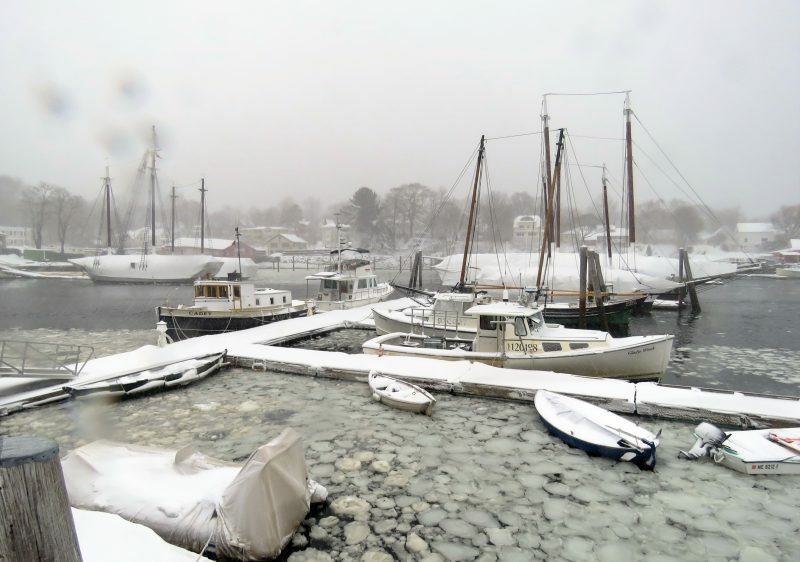 The big worries with boats in freezing water are bilge pump and seacock failures. 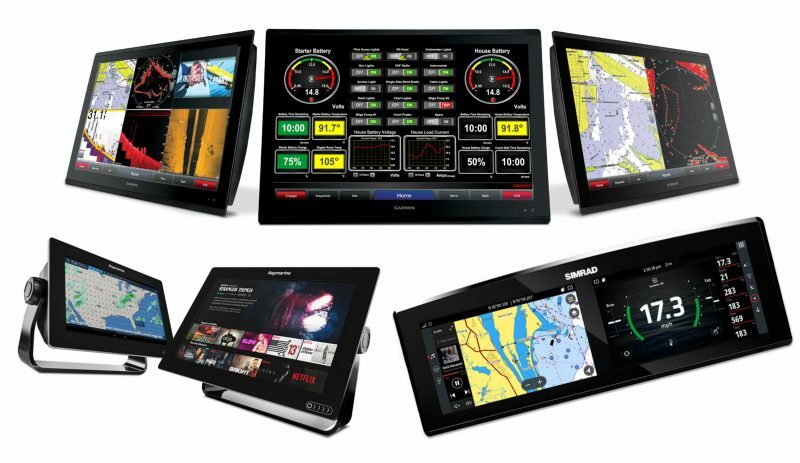 And while I would like to have Gizmo’s many Maretron temperature sensors reporting out to the cloud — which is quite possible — I also enjoy visiting the boat and these screens show what I’m hoping to find. The goal, unless I’m aboard for a project, is just to heat the engine room area above the danger level, and the margin seen at the shaft seal, engine block, and battery bank is good. I can also tell from the boiler exhaust and hot water tank temps that the heating system ran fairly recently. And, by the way, the refrigerator has been turned off since early December. Note that any or all of those temp values, and many others, can be set up to trigger alerts and/or alarms on Maretron displays. Also, there’s some significant good news about Maretron that we’ll cover soon. 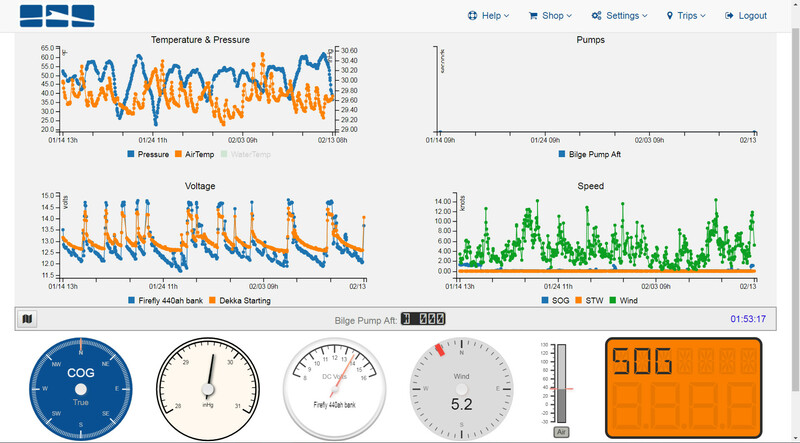 Finally, here’s a FloatHub monitoring screen taken this morning and showing the last month of values like cabin temp, battery bank voltages, and wind speed. I’m happy to add that the bilge pump graph is blank because it hasn’t run in over a month, and that I will get both email and text alerts when it does. I’m not suggesting that anyone else should be using all these monitoring systems at once, let alone keeping their boat in winter waters. 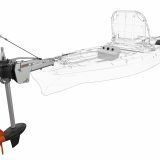 But I do think that these or similar systems can help you use your boat however you like with less stress, and that they’ll soon be more common on boats and even built right into new ones. Victron Multi in, Onan genset out…a greener Gizmo? Ben, you are not the only one 😉 who uses the same system, mine also gets stuck with Victron, FloadHub and Maretron, they all also work online :-). I love our electronic toys on boats. Good to hear, Christopher. Are you using Maretron’s SMS100 text module to get data and alerts off your boat, and if so, which cellular sim card is working for you? I’ll also note that one benefit of having Gizmo at the Camden Public Landing this winter is getting somewhat acquainted with the gentleman who built that pinky schooner across the dock. He’s been living aboard for years without electricity and only pea coal in a Shipmate cookstove for heat. Apparently he bakes and reads (by oil lamp) a lot and he seems quite sane, cheery actually. Different strokes for different folks! Hi Ben. Can you get diesel at Wayfarer L-M in winter or do you fill from a jug? DT, I’m pretty sure that LM could pump diesel most any weekday, or I could go to Journey’s End in Rockland. However, I did in fact pour two 5 gallon jugs into Gizmo last week, and it felt silly old school. But the river current has Gizmo fairly pinned to the dock much of the time, intricate frozen dock line setup, etc. Not that the little Webasto TSL17 uses much fuel the way I’m using it, but I let the tanks get quite low last fall anticipating the haulout that didn’t happen. My rough guess is 35-45 gallons used for heating this winter. I’d love to have that sort of monitoring capability, but it’ll probably have to be my next boat. I note Gadget isn’t aboard – do you take her home for the season? Righto. Gadget is in a shed, possibly serving as a mouse house. But I did manage to freeze a large shot of rainwater in her bilge before putting her away in late November. My abusive testing regime is highly disciplined. Sounds like it 🙂 Atsa’s FK is snoozing gently on the foredeck, hopefully to awaken in March. No danger of mice or frozen rain! You can’t access my Remote Console or configure anything, but it’s way better than screenshots for understanding what the Venus and VRM can do. For anyone checking Gizmo’s public VRM site: The boiler is currently shut off (during a warm spell) and the constant house load — two AIS transceivers, NMEA 2000 network, etc. — is about 4 amps. You can see in the Advanced section that the charger is turned off and if the 12v current draw is less than 4a, that means the solar panels have kicked in, which also affects voltage. Note too that I have uploaded relevant photos that are shared. Ben, do not use the Maretron’s SMS 100 module, I send data from Maretron devices online using iKomunicate. Also, is yours a test site recently set up?  I launched the VRM site exactly on 2017-02-22 13:32:24 . It was visible from the very beginning. I am a bit surprised you need to use the floathub system for your bilge pumps. The Victron Venus can do the same ( PLUS it is FREE …NO monthly fee). The Venus can also monitor and send out alerts with either of the two temperature inputs. I think it’s great that Venus has the potential to do much more than power monitoring, but FloatHub is only $99 a year and that includes some cell service if you get that hardware option. It’s also forwarding my boat’s AIS data to Marine Traffic (over WiFi) which earns an MT subscription level that costs more than the FH sub. And it’s putting NMEA 2000 data like wind speed/dir and water temp on my FH cloud site, which has been darn useful this winter. 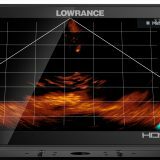 What android app are you using to show that info? And is it coming from the local network connection or through their cloud service?